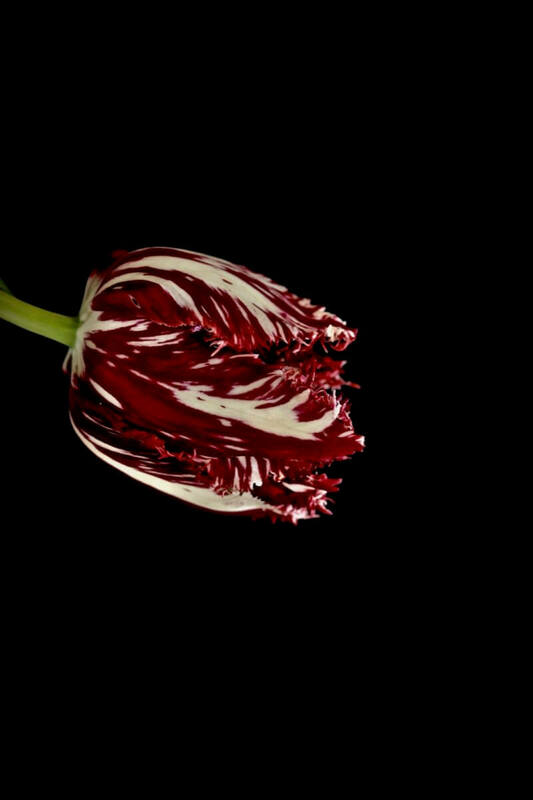 In an ever changing society obsessed with control, the Tulip has carved out and sustained a position of survival for itself for centuries. 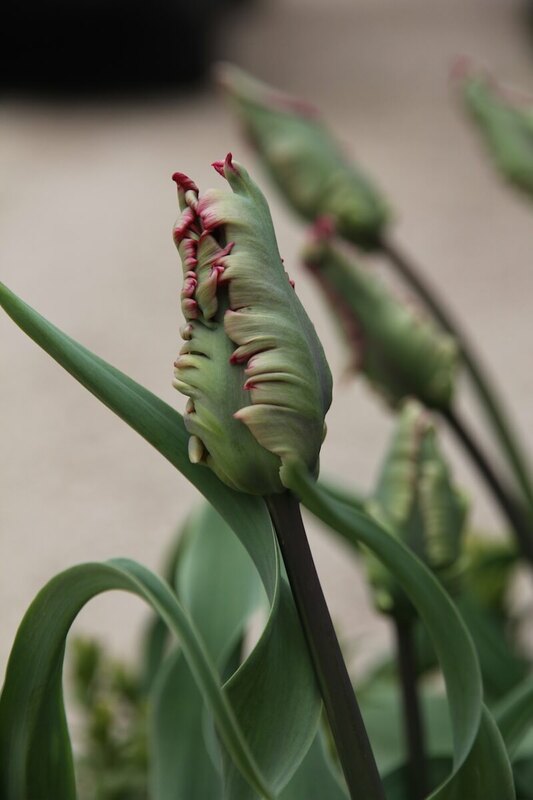 Its altered genetics and reincarnation in so many colours, textures, shapes and forms means that it continues to push through volatile climates as a treasured commodity. 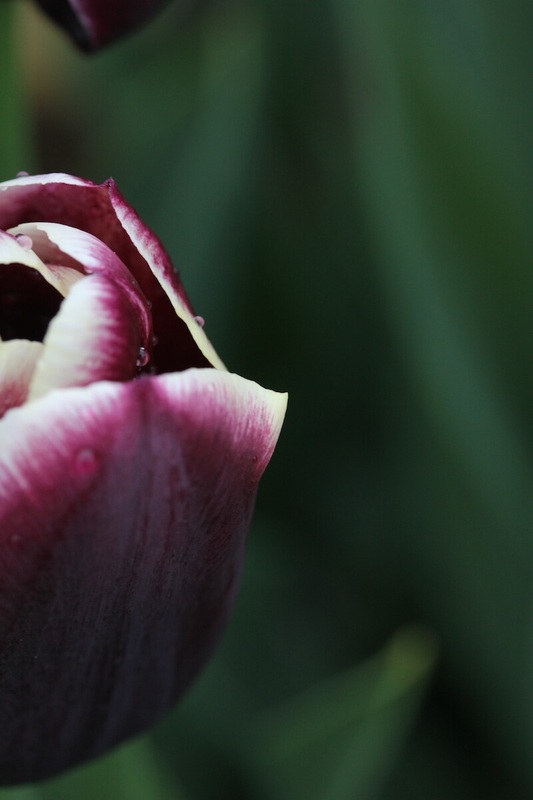 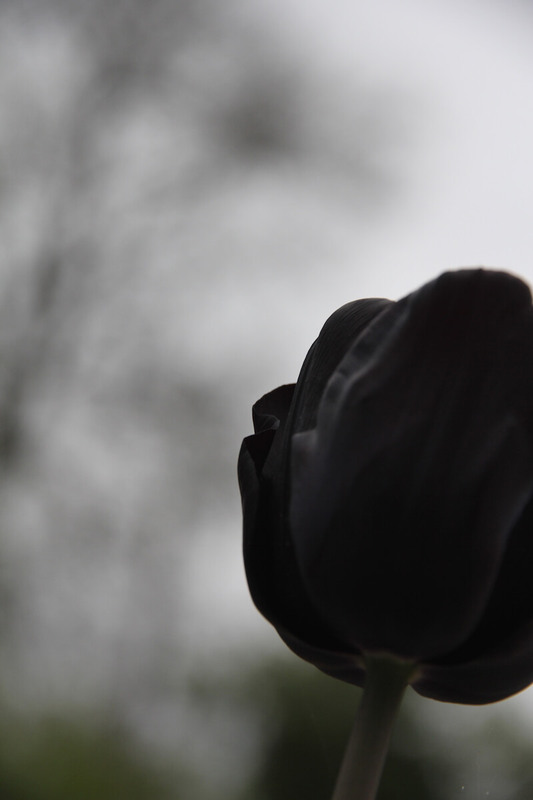 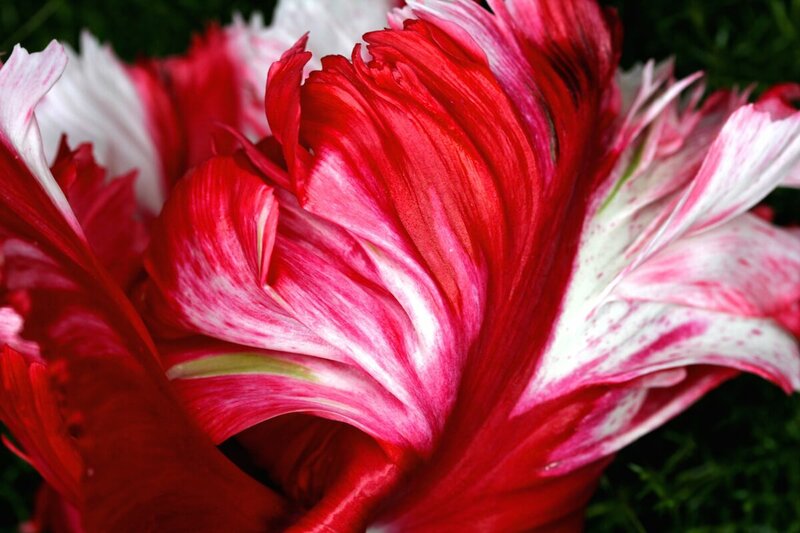 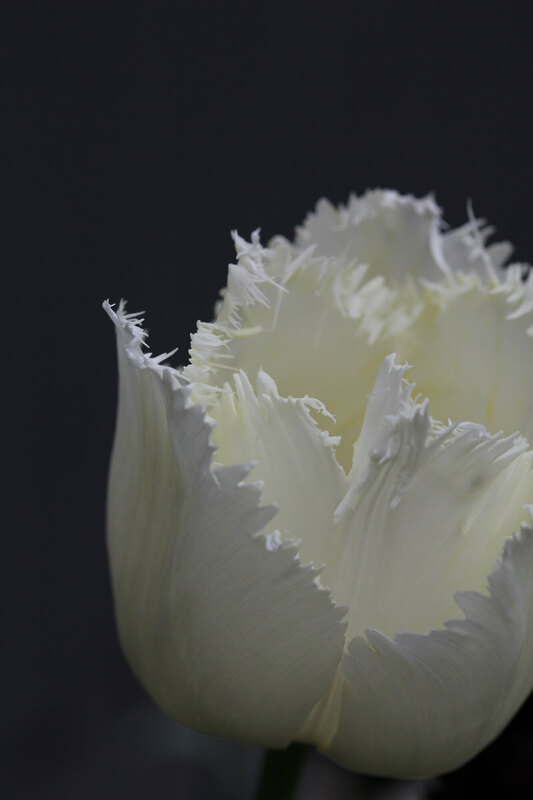 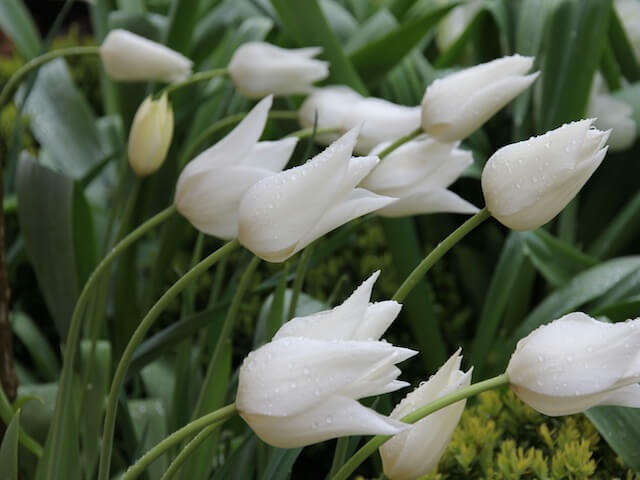 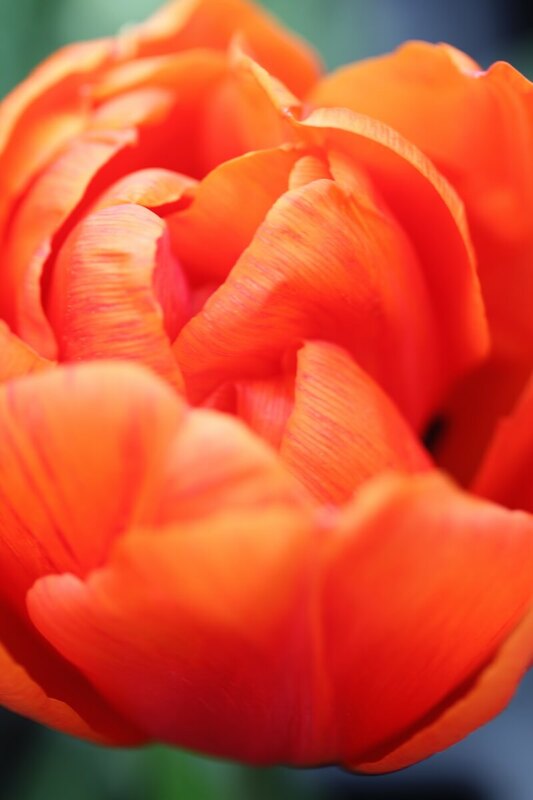 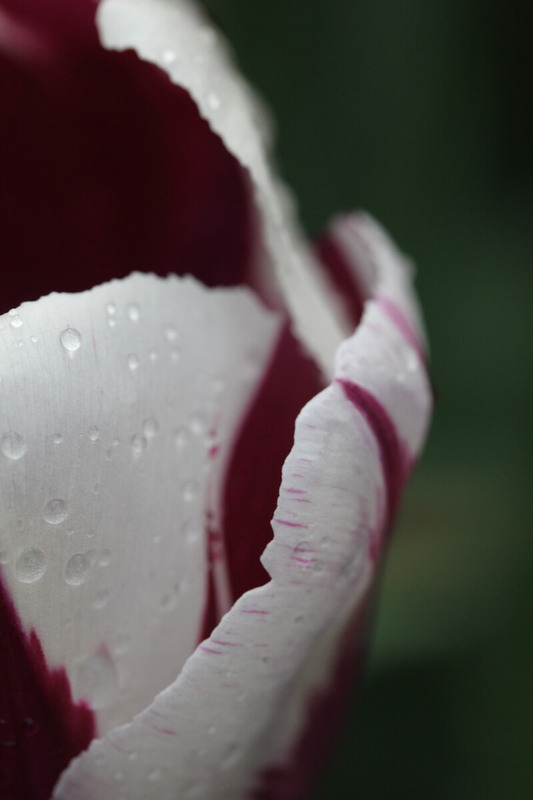 At its peak the Tulip even generated its own phenomenon known as breaking, a self fulfilling prophecy that helped feed the Tulipmania of the 17th century. 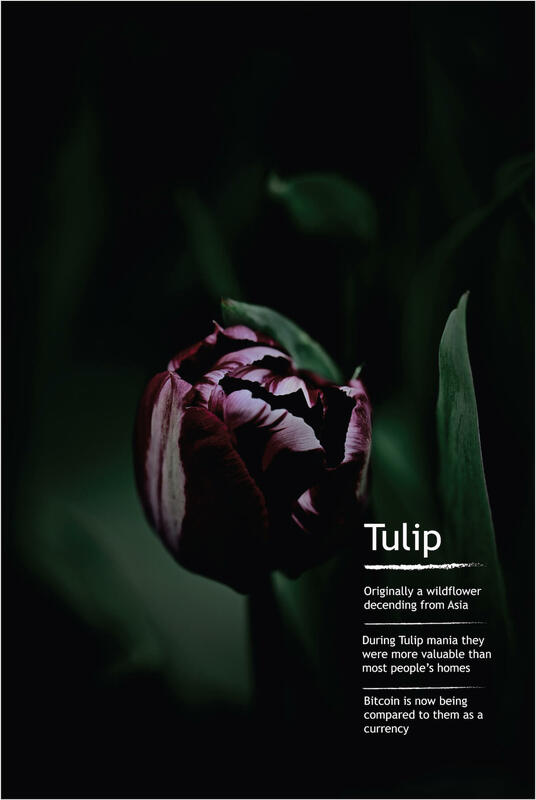 Only Bitcoin since has managed to surpass the scale of the Tulipmania financial bubble. 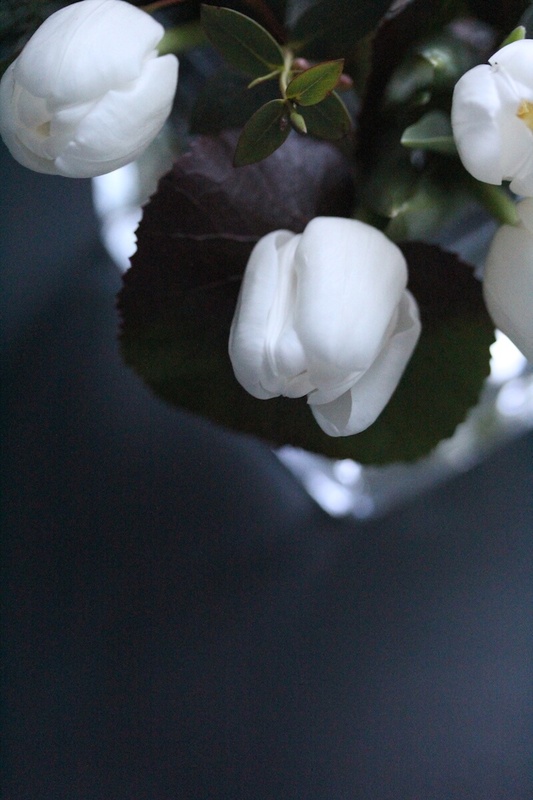 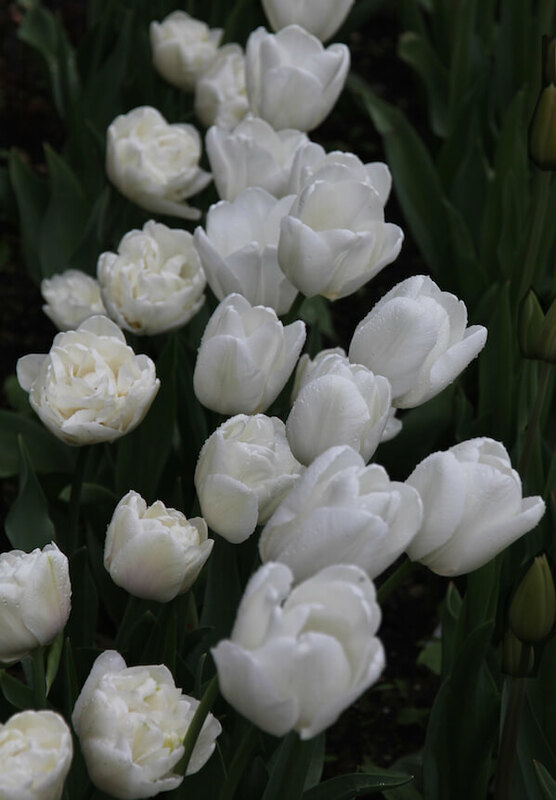 Every Tulip has a base colour of yellow or white and a secondary colour. 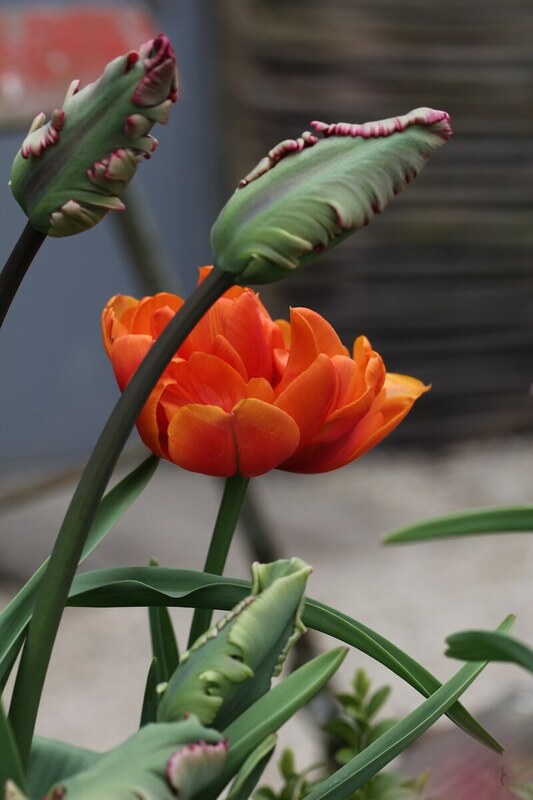 When these colours were mixed a Tulip would produce extraordinary variations and these broken Tulips gave them exceedingly high market value. 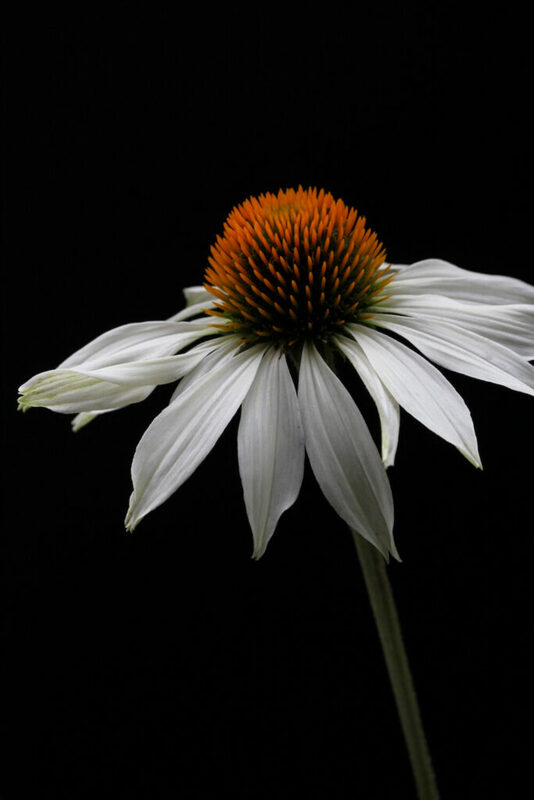 This was later discovered to be the result of an infection called the mosaic virus that would retard the secondary colour, only allowing a portion of it to show (in humans we would liken this to recessive genes). 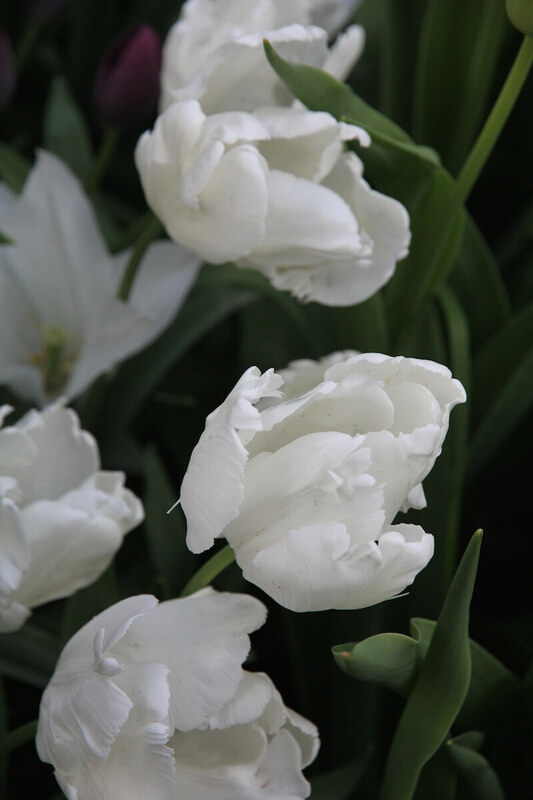 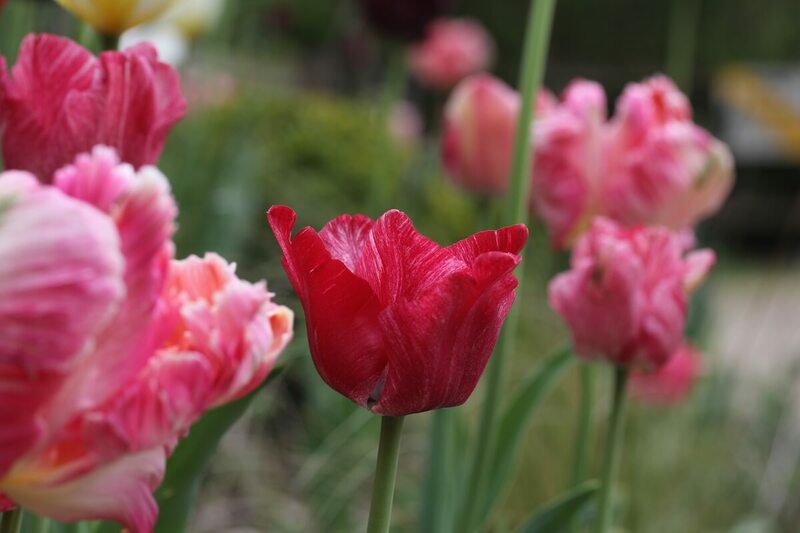 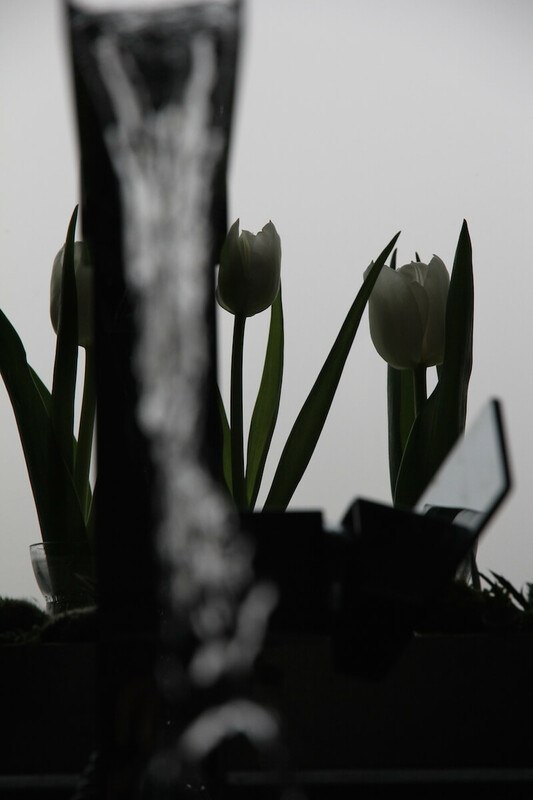 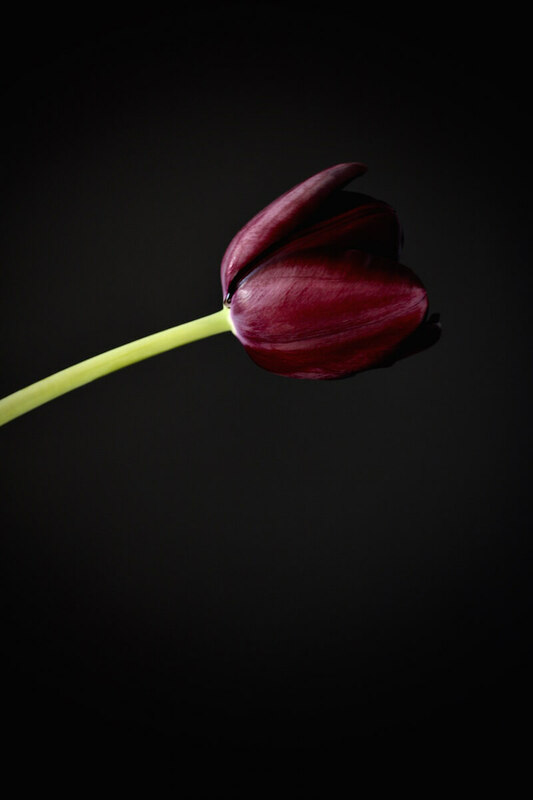 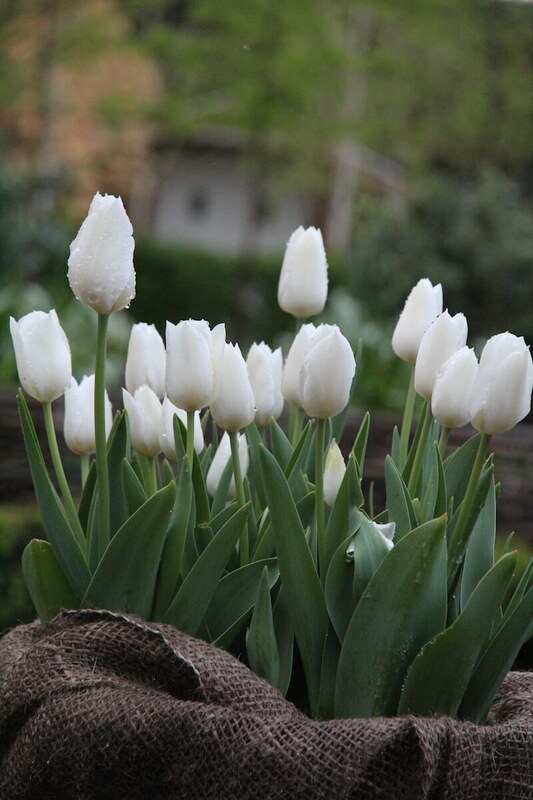 Although Tulips still break, this is not cultivated as it is a disease that ultimately weakens the bulb. 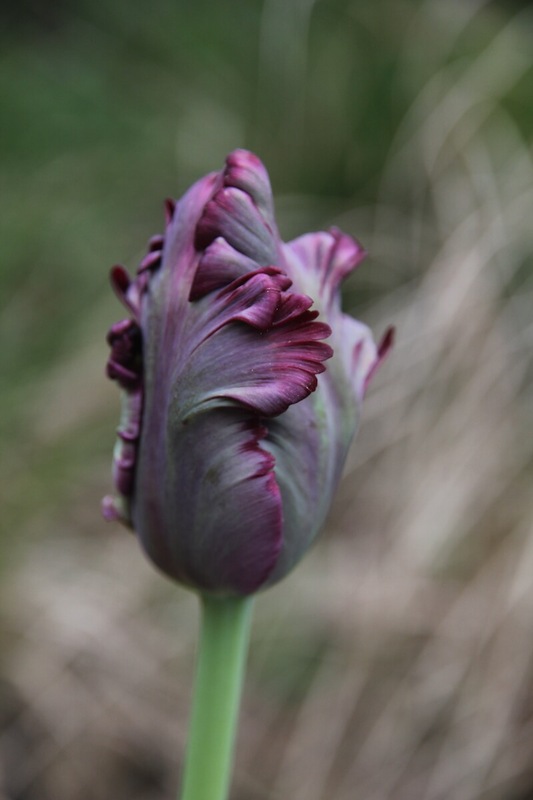 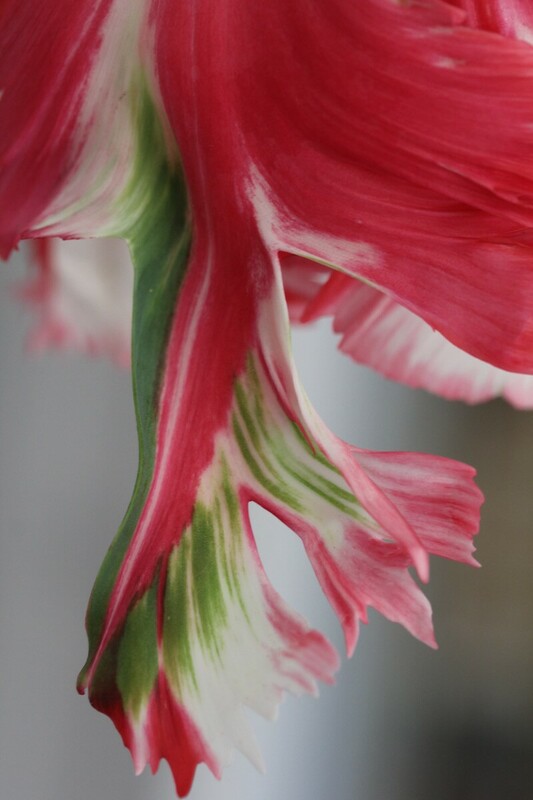 At times, albeit rare (as above) we come across a broken Tulip in a yield and we can entirely understand why such beautiful imperfections and deviations became so coveted in the past. 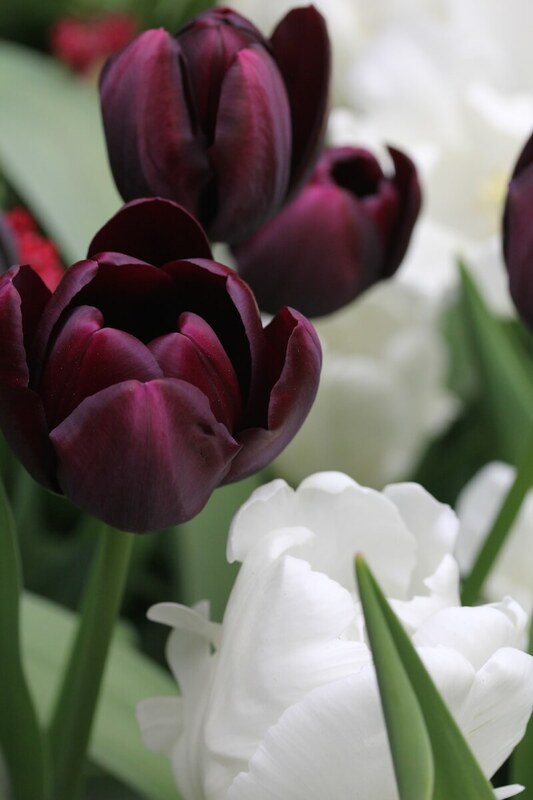 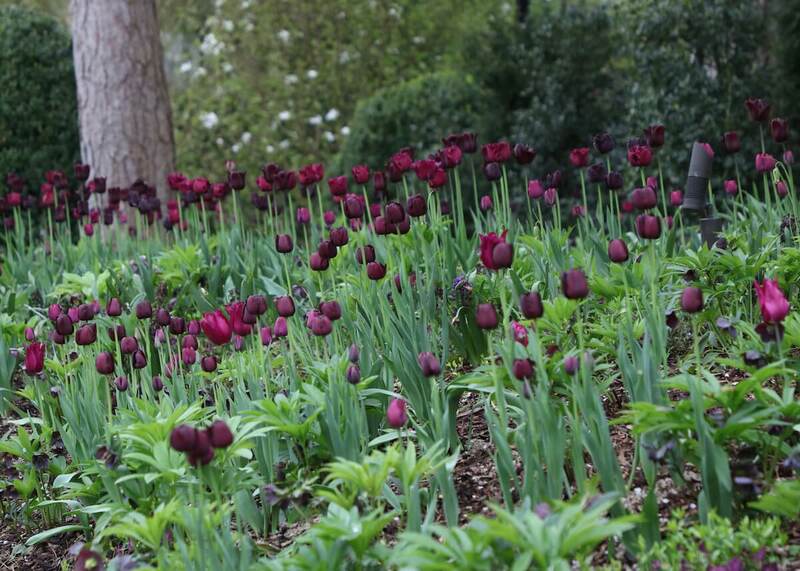 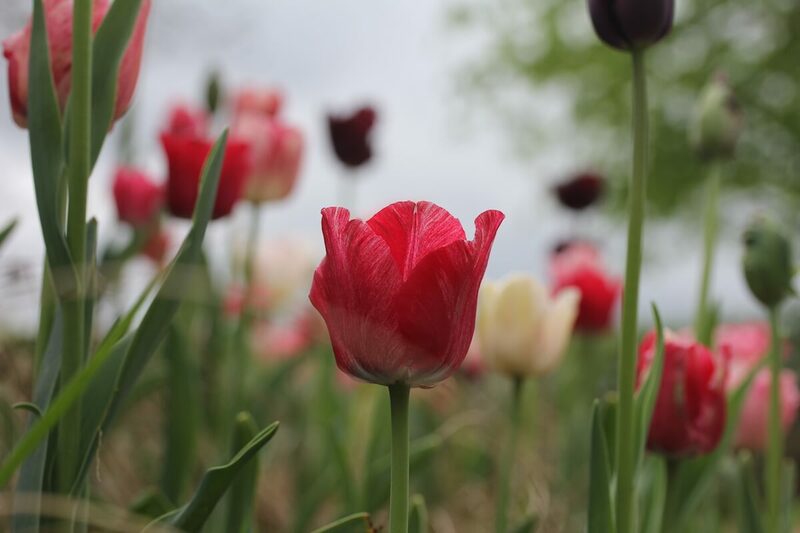 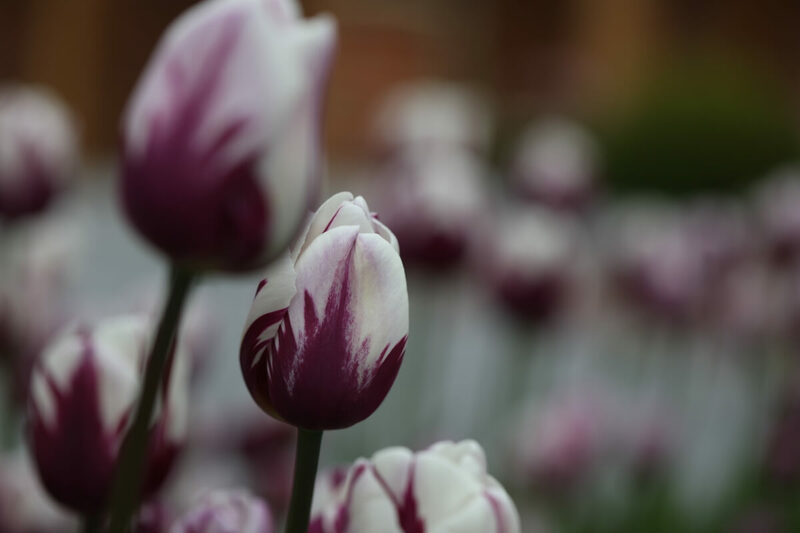 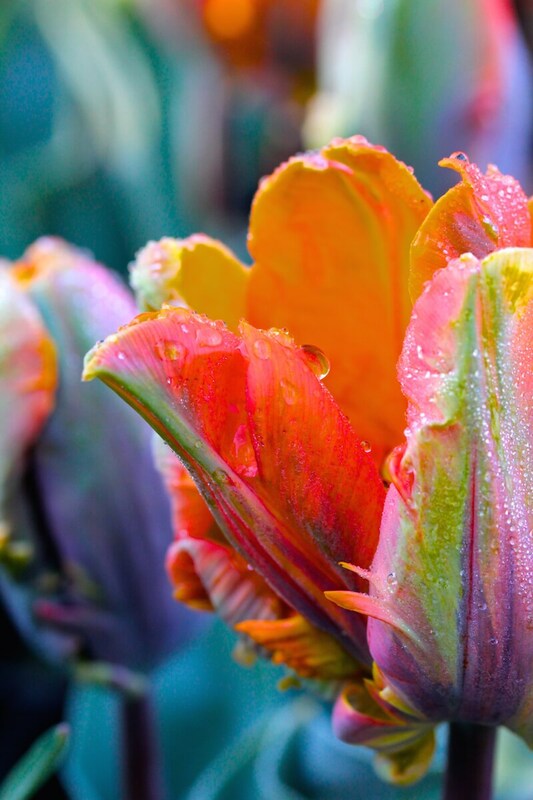 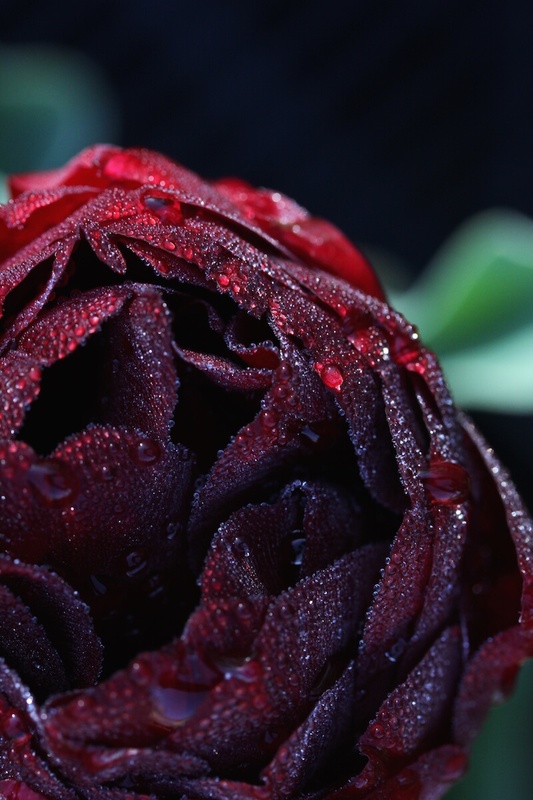 The Tulips of today descend from 150 species and are available in over 3,000 varieties, with new cultivars being added to the Tulip universe every year. 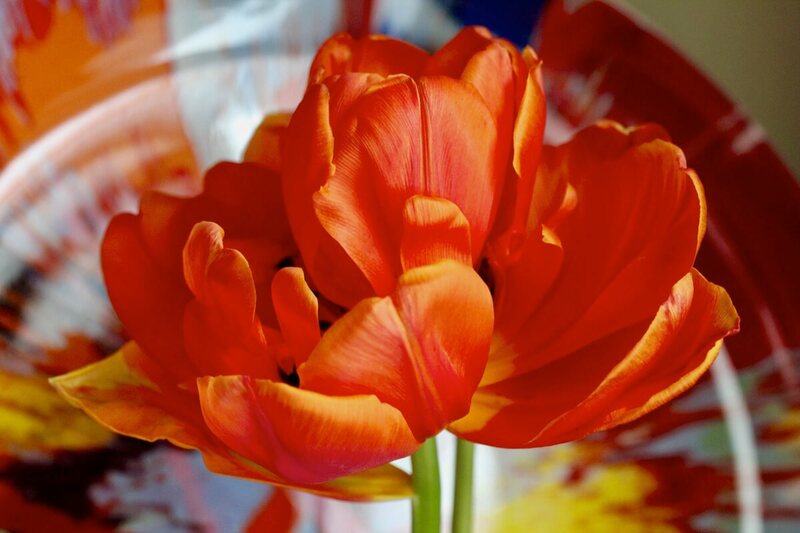 The Netherlands export 3 billion per year. 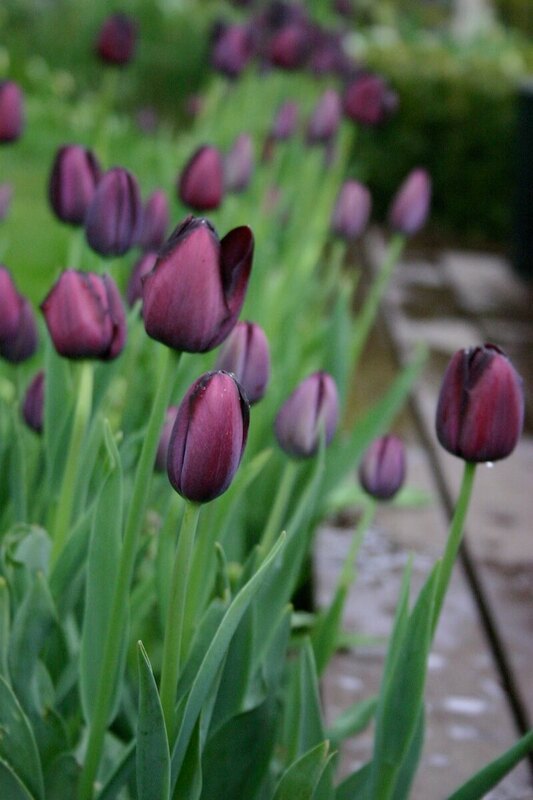 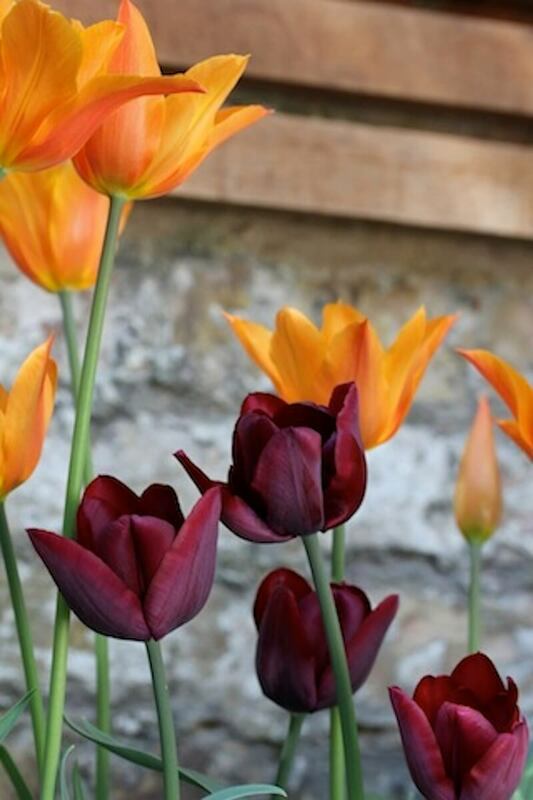 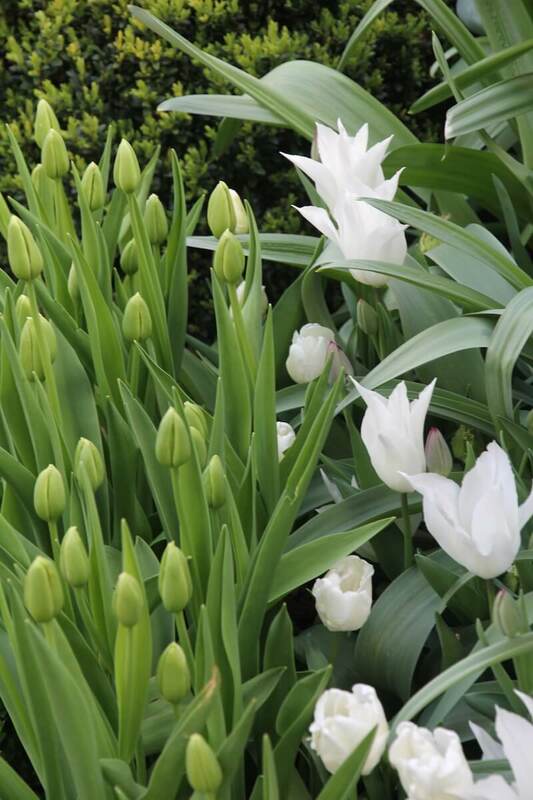 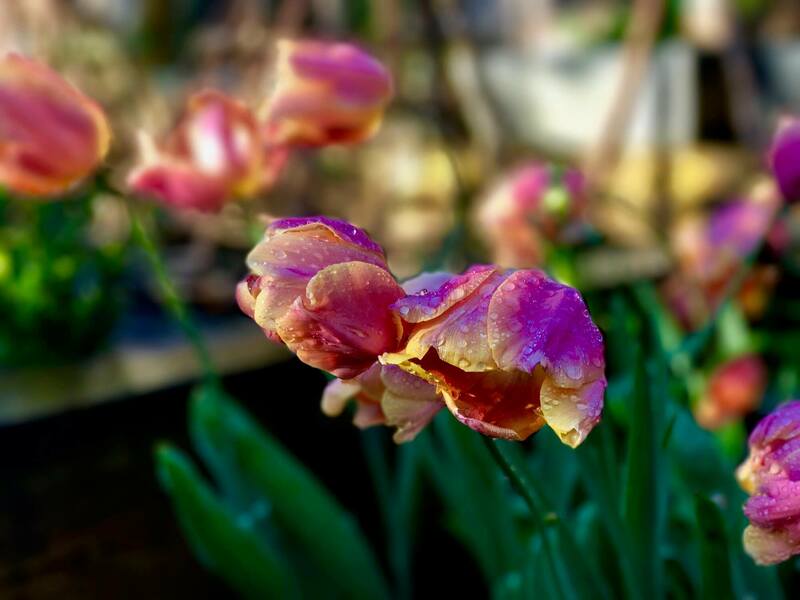 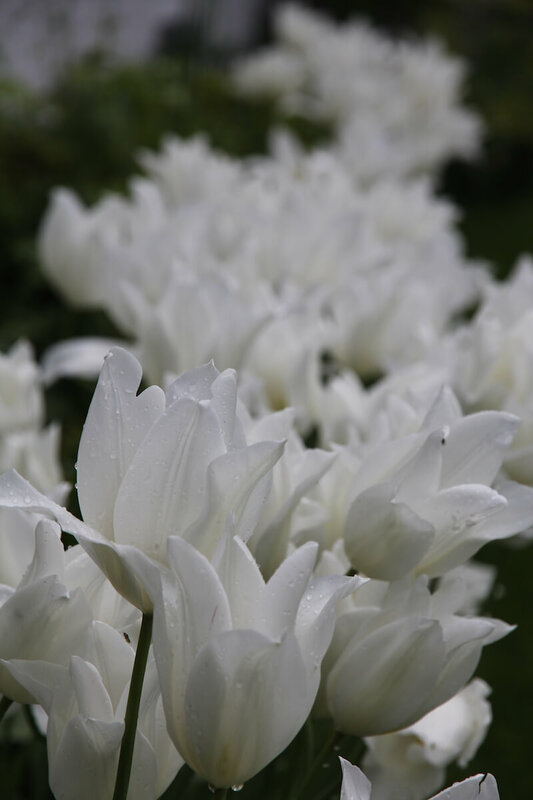 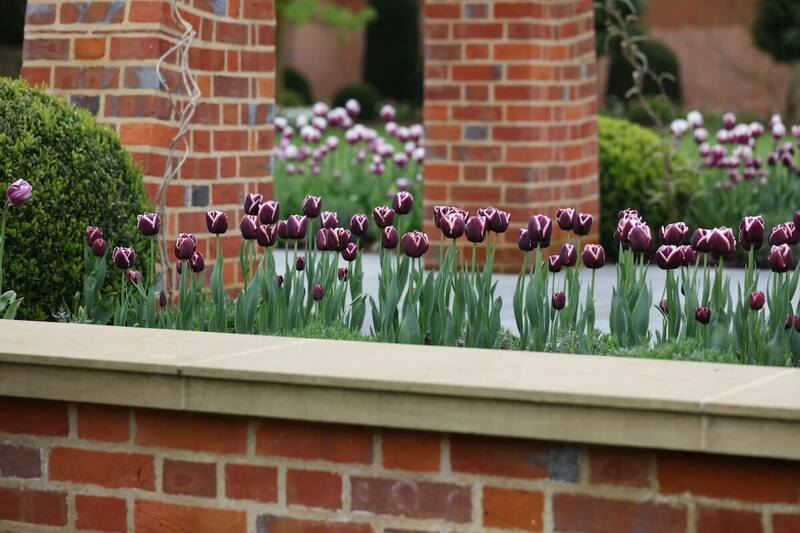 At HC we like to create signature style Tulip mixes for our clients and then plant them en mass in the Autumn so that they erupt in Spring heralding the start of a vibrant year. 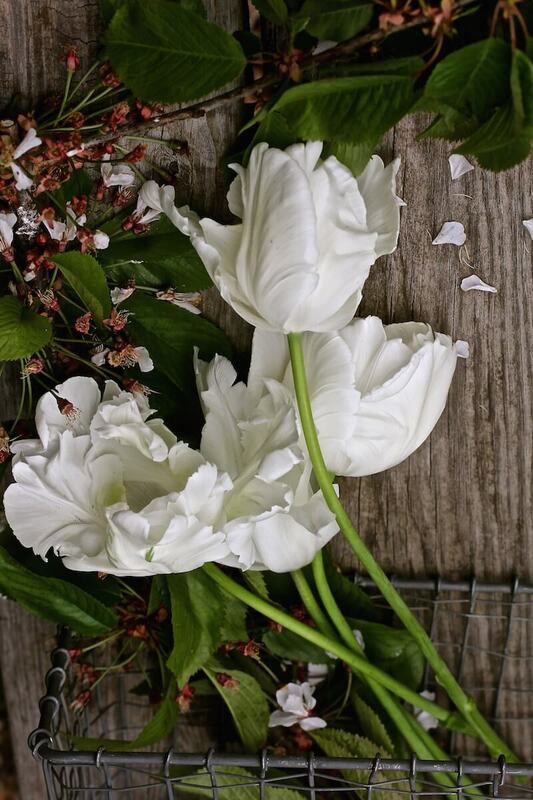 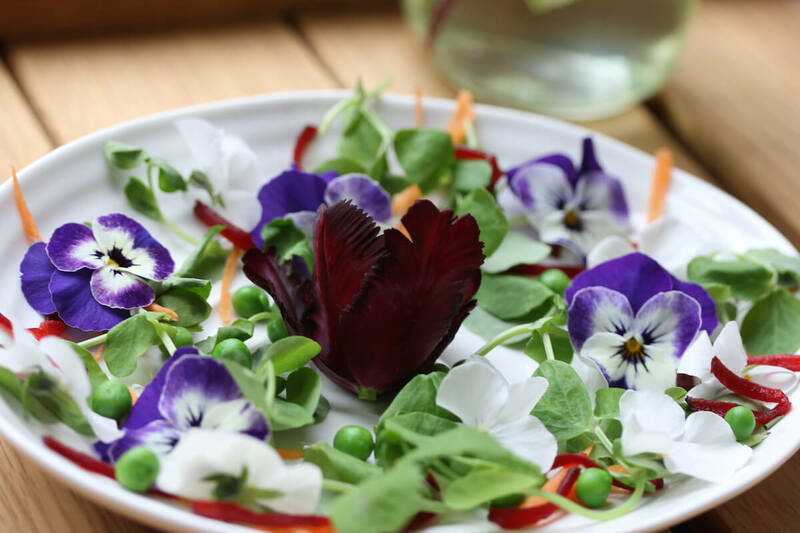 As a result of years of working with Tulips and knowing how to get the best from them we now have our staple collections. 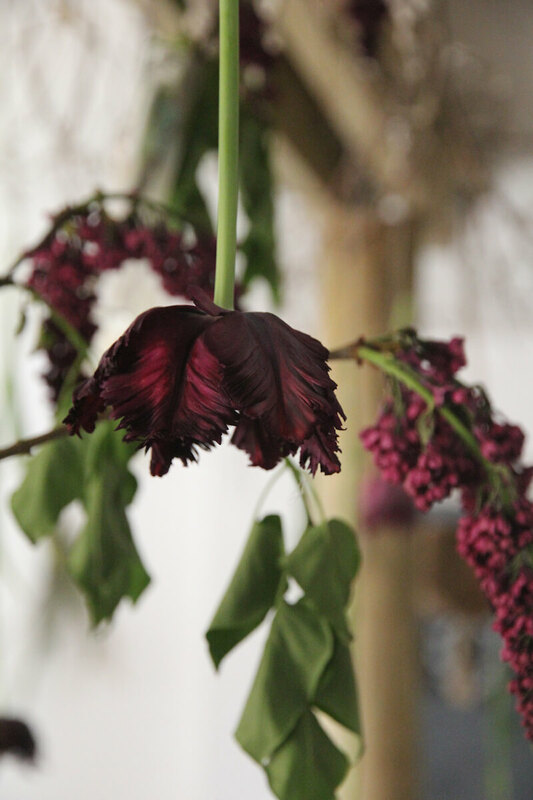 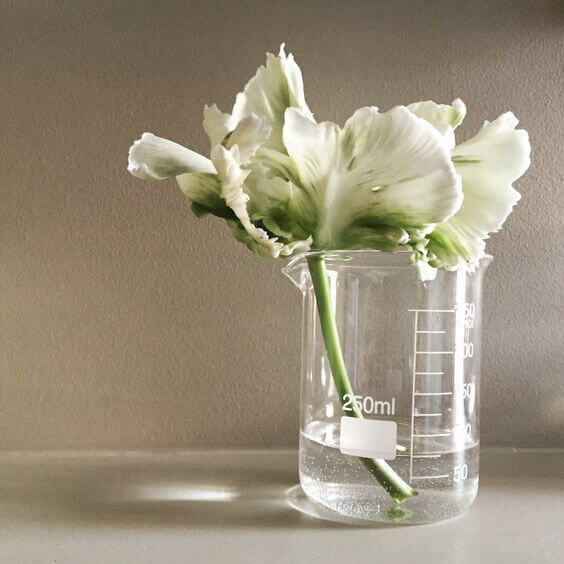 Plus each year we trial out new combinations for potential introduction to future floral couture mixes. 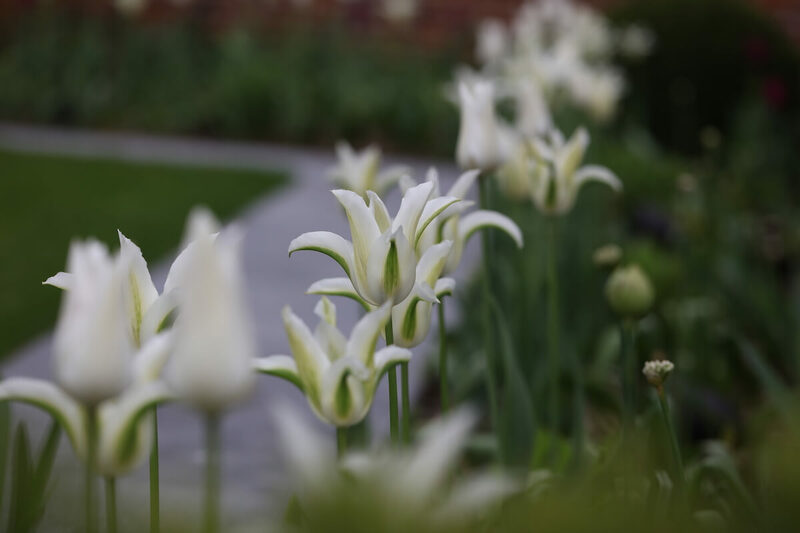 In this blog, (parts one and two) we have narrowed down a short list of our favourites as a resource for readers bulb selecting and buying season. 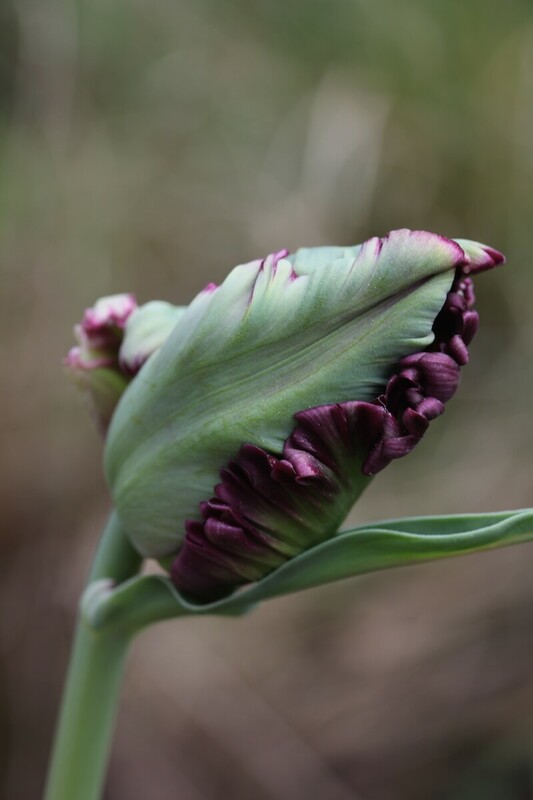 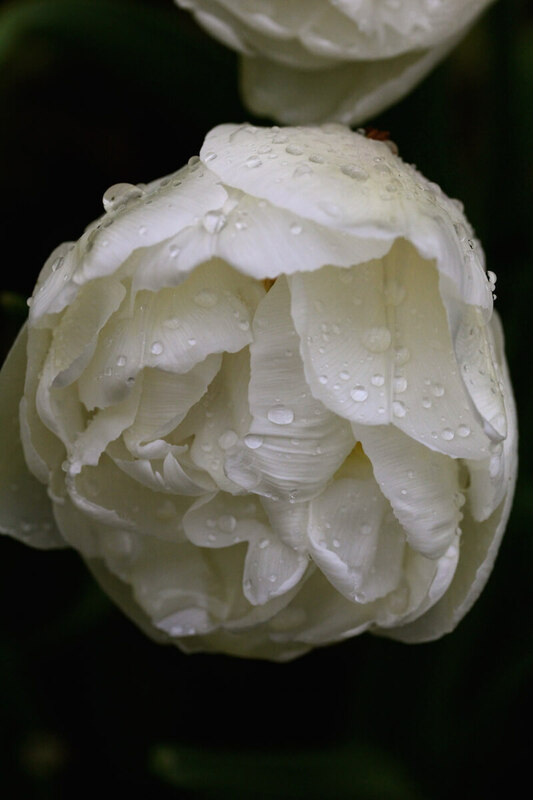 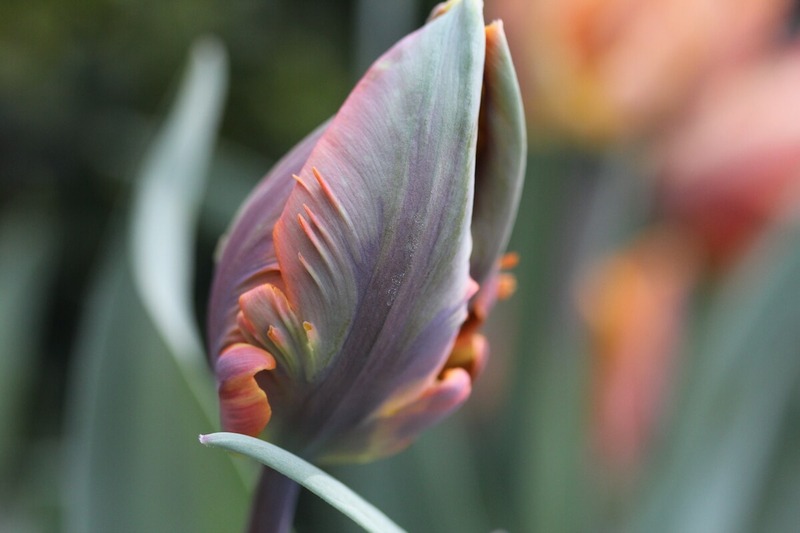 Tulip Uncle Tom – a very Peony-esque var.